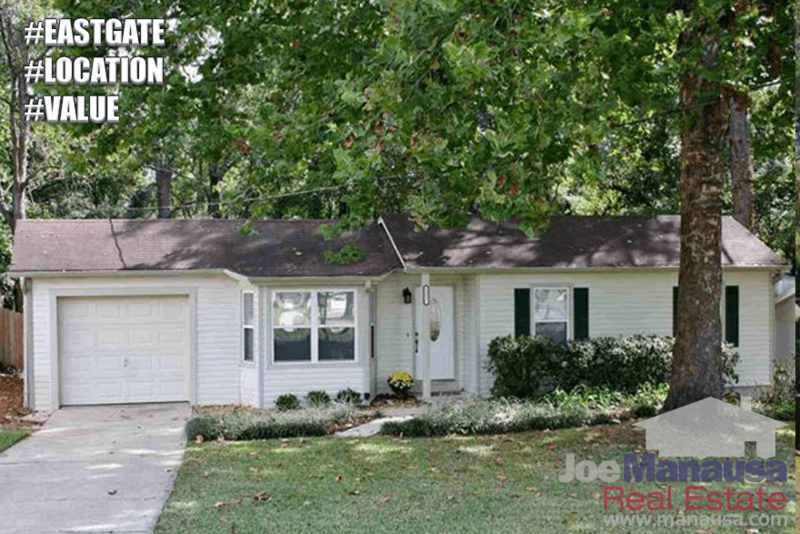 If you are looking for value and location, consider Eastgate in Northeast Tallahassee. 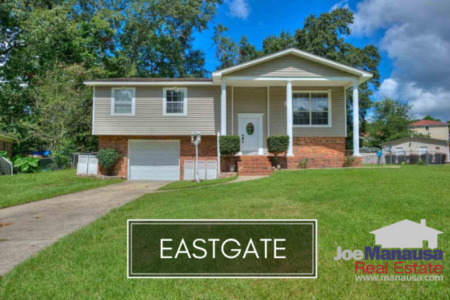 It's going to get more difficult to find a single family detached home under $200K inside of I-10 along the Thomasville Road corridor, but Eastgate is the place to first go shopping. 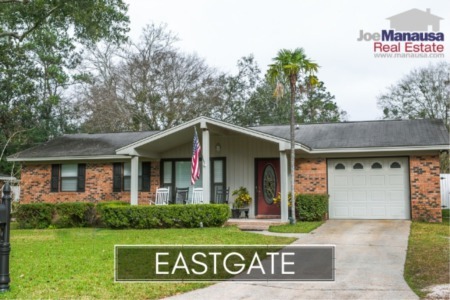 Eastgate has superb access to shopping, dining, Capital Circle and the Interstate, and home prices remain very close to the median single family detached home price in Tallahassee. Within walking distance, you can find Home Depot, Trader Joes, Starbucks, and plenty of other great retail businesses and places to eat. With seventeen homes sold, five on the market (and one already under contract), Eastgate remains a hot destination for homebuyers. The following list of homes are the most recent listings in Eastgate. In this report, we will look at average home prices, average home values, and average home sizes in Eastgate, as well as show a table of all closed home sales going back to 1991. It is important to note that the narrative contained below is for sales through December for all previous years, but through the fifth of December in 2016. The graphs and the closed sales table will be continuously updated into the future (meaning bookmark this page if you always want to know the current status of homes in Eastgate). Home prices have risen roughly 7% so far in 2016. The 17 homes sold had an average sales price of $147,500, but we're expecting higher prices moving forward. It won't be long until home prices below $150,000 are simply a fantastic memory in Eastgate. Home sales activity in 2016 has been brisk, and for the foreseeable future, it will purely be a seller-side issue. The number of homes sold in Eastgate in 2017 will only be dependent upon the number of homeowners who decide to move, as buyers are already lining up waiting for this location. Average home values in Eastgate are up nearly 4% in 2016, but the reality is far different than what "averages" are reporting. Several low-value homes have been turned this year, and these opportunities will be fewer in the years to come. Right now, home values at $108 per square foot are roughly 22% lower than those recorded at the peak of the housing market in 2006, but one recent sale closed at $128 per square foot. Expect to see values surge more than 10% in 2017 and don't be surprised if we see historical highs before the end of 2018. The average home size sold in Eastgate typically falls in a range of 1,200 to 1,500 square feet, and this year's home sales have been just above average. The first seventeen home sales have averaged 1,387 square feet. The following list shows nearly 500 home sales in Eastgate going back to 1991. I hope you enjoyed our December 2016 update on home sales in Eastgate, please feel free to drop me a note if you have questions not covered in this report.